Cameco says its production of uranium in Saskatchewan shouldn't fall under the scope of an investigation announced Wednesday by the United States Department of Commerce. The investigation came about after two American uranium companies complained they couldn't compete fairly for a larger share of the U.S. uranium market because of state-owned, publicly-subsidized producers in foreign countries. "If the issue in question is the over-reliance of the United States on uranium supplied by state-controlled enterprises from countries not aligned with American policy interests, this clearly does not apply to Canada or Cameco," CEO Tim Gitzel said in a press release. The Saskatoon-based uranium producer — which makes about 30 per cent of its sales by volume to the U.S. — plans to give input during the investigation, Gitzel added. The investigation is expected to take up to nine months, after which U.S. President Donald Trump will decide what actions to take, if any. 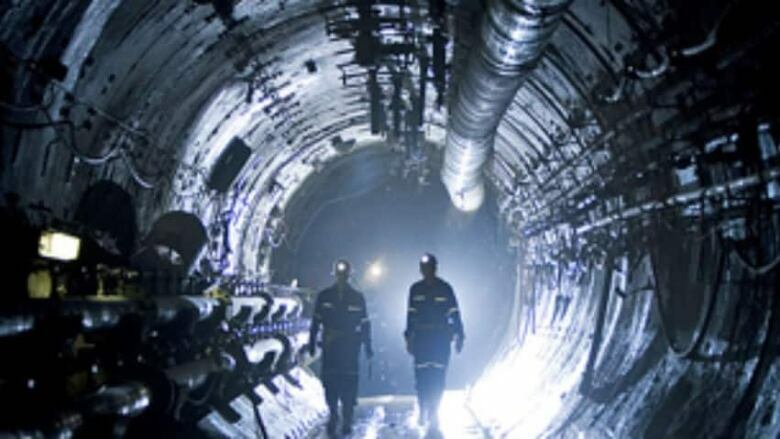 Should the U.S. move to restrict the flow of uranium from countries like Russia, Kazakhstan, and Uzbekistan, that could prove a boon for Cameco, according to the Saskatchewan Mining Association. "If they're not going to buy from Kazakhstan or Russia, maybe they'll buy more from Canada," said Pam Schwann, the association's president. The immediate implications of the investigation for Canada were unclear Wednesday. But Brooke Dobni, a professor at the Edwards School of Business in Saskatoon, said the investigation wasn't a surprise, coming as it does after Canada's retaliatory tariffs on American imports into Canada. "It didn't surprise me because it's on a list of things the Trump administration has said they're going to do," said dobni. "They started up at the top of that list with lumber and steel. [Now] we move down the list."